Festival season is in full swing, and we have found the most up close and personal. Jostling crowds, mile-long lines, hefty fees, and the constant struggle to pick which act to attend. The vicious scuffle to see or get anywhere near the stage, and the imminent risk of losing your voice, not from unleashing your inner Beyoncé, but from trying to talk to your friends above the roaring chaos around you. Feeling overwhelmed yet? You’re not alone. Music festivals are the ultimate summer events that people worldwide swarm to for a chance to see their favorite artists and dance the day away with their friends. Festivals like Coachella, Lollapaloooza, Bonnaroo, and Governors Ball have attracted thousands upon thousands of attendees over the past several years, and as a result, have become known for their massive crowds in which personal space is a foreign concept. Understandably, these mega-festivals aren’t for everyone. Instead, intimate music festivals with smaller venues and audiences offer a less intimidating alternative. These more relaxed events enable festival-goers to avoid noisy crowds that may taint an experience, while still enjoying good food and music, discovering new artists, and spending time with friends. Unfortunately, few people are aware of the immense variety of intimate festivals hosted in North America. From bluegrass extravaganzas to chamber music celebrations and Elvis Presley commemorations, the options are endless. To help festival-goers find their perfect event, Flight Network has compiled a list of the 23 best intimate music festivals in North America to help you get started in finding the perfect one for you. Forget the mobs and opt for a music festival you can experience in the best way possible. Bigger doesn’t necessarily mean better, after all! Starting off with the oldest continuous run festival of its type in North America, Fiddler’s Grove is truly a festival for the ages! What started as the Union Grove Fiddlers Convention in 1924 has become and exciting 94-year old annual tradition for fiddler fanatics, families, and friends. This festival brings together 2,000 guests for an entertainment-filled Memorial Day weekend, and it is dedicated to preserving traditional old time and bluegrass music. Here, the open countryside comes to life with live performances, clogging workshops, childrens shows and activities, and numerous musical competitions for all ages like the classic crowd favorite, Hot Licks. If you love dancing to fiddle medleys and singing the day away to your favorite folk songs, this is one festival you simply cannot pass up! The only music festival to take place at an adventure resort, the Mountain Music Festival in West Virginia is the perfect event for both the music junkie and the outdoor enthusiast. Atop a beautiful mountain in the heart of the New River Gorge, this festival offers an inflatable water park, whitewater rafting, zip lining, and rock climbing, in addition to over 25 bands. Its 2,500 guests are served delicious food, can participate in various free workshops, enjoy comfortable cabins, may hang out with visual artists in the Pigment Sanctuary, and are invited to a late night cupcake party. Worried about feeling nasty after a day of physical activity and jamming to live music? Don’t sweat it. This festival even provides free hot showers! The Nelsonville Music Festival is a community-minded festival nestled in the rolling hills of southeast Ohio that draws in 6,000 guests each year. It is a production of the Nelsonville non-profit historic theater and performing arts center, Stuart’s Opera House. This festival hosts over 60 musical acts, featuring a variety of genres and unique venues, including a small No-Fi Cabin where artists perform with no electricity and a the boxcar of an old train. The Nelsonville Music Festival strives to have a positive impact on the community and environment by being a Zero Waste event. It successfully diverted over 92% of the waste created at the festival from the landfill in 2017 with recycling and composting. In addition to camping, artisan vendors, and a beer garden, this festival offers free admission to all kids 12 and under and a huge kids area with activities that will keep them entertained through the entire weekend. It’s a win-win for kids and adults alike, all in support of a meaningful cause. Music. Mountains. Magic. Since 2003, the Kluane Mountain Bluegrass Festival has consistently featured some of the finest international, national, and regional bluegrass musicians. Among them, Blue Highway, Balsam Range, and Dailey and Vincent have made special appearances. This tiny festival is limited to only 400 attendees and is located in the heart of the Yukon Territory, at the edge of Canada’s natural treasure, Kluane National Park. Kluane is comprised of towering snow-capped mountains, icefields, and lush valleys, so it no doubt provides a majestic backdrop to the festival and adds to its lively, vibrant spirit. At this festival, enjoy first-rate Yukon hospitality, attend workshops given by the best bluegrass musicians around, explore the St. Elias Mountains (Mount Logan, highest mountain in Canada, is the festival’s backyard! ), and gather with friends for a 3 days of of energetic tunes and fun. Discover the Blue Ox Music Festival in the midst of the northwestern Wisconsin pines. Founded in 2015, this 3-day festival is a bluegrass, roots, and Americana music extravaganza that offers an intimate music and camping experience for its 5,000 guests. It is part of the Eau Claire cultural renaissance that took off in 2007 in efforts to foster a collaborative, entrepreneurial, independent, and creative spirit in this area. Over the past few years, it has proven immensely successful and has attracted music lovers near and far. Honoring tradition, the Blue Ox has previously presented Grammy award-winning artists such as Del McCoury Band and Sam Bush, in addition to rising artists like Mandolin Orange and Billy Strings. This outdoor festival is suitable for families, the younger generation, and adults alike, and promises a memorable weekend. Looking for a versatile family friendly music festival but hesitant about spending a fortune on the tickets? Then look no further, the 4 Peaks Music Festival has got you covered. Located on an intimate ranch in central Oregon, this festival started as a backyard music event for local residents but has grown into a much larger event over the past decade, drawing in about 3,000 attendees a year. Eclectic in nature, it features a mix music genres performed by national, regional, and local bands. Festival-goers get to experience many music styles while enjoying sweeping grassy fields that are perfect for tent camping, an extensive selection of vendors, morning yoga, a kids area, and late night disco. This year’s lineup includes Michigan jamgrass favorites Greensky Bluegrass and world music collective Nahko and Medicine for the People. Grab your camping gear and head for the grand Sierra Nevada, not for a traditional weekend of exploring nature, but rather for a weekend of exploring music! At the High Sierra Music Festival, music lovers who prefer more personal musical experiences venture to this peaceful valley for a dozen intimate performances, non-stop dancing, daily parades, fantastic food and drinks, and thorough relaxation. Tucked away in the charming community of Quincy, this festival offers a full spectrum of music on multiple stages for its 10,000 guests to pick and choose from and enjoy. Want more time with your favorite artists? Sign up for a “playshop” where fans get to meet celebrated musicians and watch them as they perform one-of-a-kind collaborations, tributes, and theme-based sets. Among the impressive mountains and swaying evergreens, festival-goers can also find an engaging Family Village with its own set of activities and performers, take yoga and pilates classes, and go all out on the festival’s daily costume themes to take their experience to the next level. What’s Independence Day without a proper celebration? Back in 1992, a small group gathered in rural western New York for a single-day musical shindig to commemorate this holiday, and it quickly became an annual tradition. As word spread and the event grew in popularity, the Great Blue Heron Music Festival attracted thousands of music lovers, and it continues to be a crowd pleaser for its 7,000 guests today. This festival is the best place to enjoy folk and authentic American Music. On top of an extensive lineup, this festival includes a countless food and merchandise vendors, instrument workshops, healing arts workshops, dance lessons, hiking and biking trails, drum circles, and much more. Dance the day away in the Dance Tent and camp under the starlit sky at night. Invite your friends and family for a music and entertainment filled Independence Day celebration! The Evolve Music and Awareness Festival isn’t your typical musical celebration. Rather, it is a 3-day musical spectacle dedicated to promoting social awareness and sustainable living. In addition to multi-genre music, a village that hosts craft vendors, art installations, games, free hot showers, and psychedelic and wellness support, Evolve also offers informative workshops about social issues such as personal wellbeing and environmental awareness. In fact, the festival is committed to leaving a smaller environmental imprint: all posters and marketing materials are printed on recycled stock using waterless printing presses that eliminate water waste, all clothing merchandise is printed on organic cotton or recycled materials, and all food vendors use compostable, biodegradable packaging and eco-cutlery. Its Clean Concert Pledge aims to inspire changing behavior by encouraging its 3,000 festival-goers to take individual responsibility of the environment and leave no trash on the festival grounds. Love adventure and love music? Then why not combine the two? The Timber! Outdoor Music Festival is the event of the year that strikes the perfect balance between music, community and adventure. A music discovery experience featuring local and national musicians of all genres, the festival also offers guided yoga, paddle boarding, kayaking, recreational tree climbing, a 5K, and bike rides. That’s not to mention activities like nature painting, film screenings, stargazing with astronomers, a camp kitchen, and s’mores for when you’ve maxed out on adrenaline rushes for the day. Kids under 12 are granted free admission, making a 3 days of family fun much more affordable. The Timber! festival welcomes 3,000 guests every summer, but that’s not to say more can’t enjoy the same experience. In fact, Timber! has a winter music festival as well (appropriately dubbed Timbrrr!) that hosts dozens more musicians and outdoor winter recreational activities every January. Take your seasonal pick, but a weekend of adventure and music is calling! 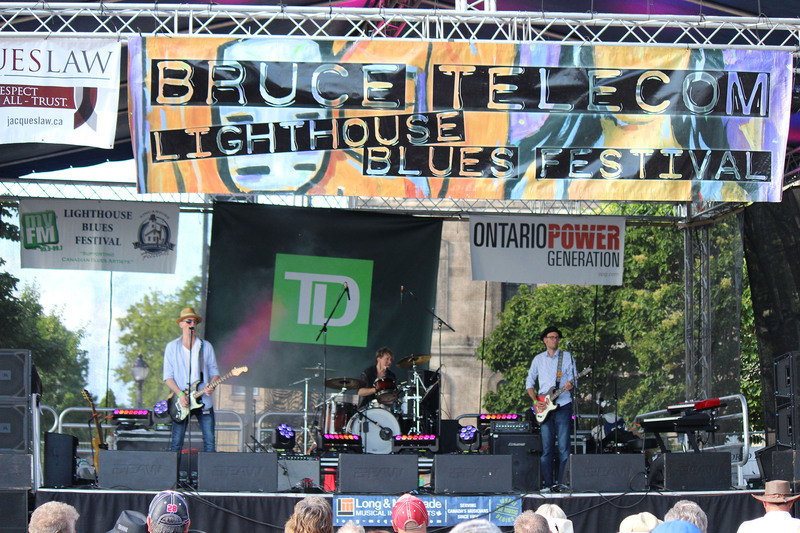 Named a “Top 100 Festival and Event” for the last 4 years by Ontario’s tourism industry, the Bruce Telecom Lighthouse Blues Festival is a must-see for blues fans around the world. Situated in quaint lakeside town overlooking the Lake Huron beaches, Kincardine Harbour, and the iconic Lighthouse, this one-of-a-kind boutique festival provides picturesque and cozy venue for its attendees. The 1,000 seat Main Stage also promotes an intimate experience for fans of celebrated international touring artists. When it comes to family fun, this festival still doesn’t disappoint. Its petting zoo, vintage British sports car display, Artist Row, and Children’s Zone are sure to keep all family members entertained, and guests are invited to attend the Sunday morning Gospel Revival in a scenic park. If the best things in life are free, then North America’s best music festival… must also be free? That’s right! And the West Seattle Summer Fest does not disappoint! This 3-day party in the streets is jam-packed with great music and pure family fun. Established as a celebration of West Seattle as a thriving music and arts community, this festival features performances by some of the best local bands, shopping, dining, bear gardens, kids’ rides, gaming tents, a pet junction, GREENLIFE (a garden and sustainability expo), and essentially everything else the sprawling city of Seattle has to offer. Some of the big names that have previously graced this festival’s stages include Kinski, Dude York, and Spesh. Join West Seattle’s 30,000-person summer festival to experience a memorable weekend full of all the best things life: friends, family, music, food, laughter, and love. Each year, the gorgeous Horning’s Hideout comes to life as the Northwest String Summit sets up among the reserve’s luscious evergreens, wild peacocks, and glassy ponds. When the doors open, this venue transforms into an exquisite boutique music haven that summons music enthusiasts from around the country and beyond. This music haven just outside Portland features a variety of artists in the Americana, Bluegrass, Indy Rock, and Jam genres. Its guests not only get to enjoy intimate performances from sunup to sundown, but they can also participate in free yoga and mindfulness workshops, relish great food, and camp through the weekend. Kids can also have a blast in the Kid’s Area making crafts, playing games, trying music workshops, and learn about pertinent topics facing today’s youth and planet. String Summit caps its capacity at 5,000 attendees to ensure an intimate experience for all festival-goers at an incredible ticket price. For nearly four decades, over 30 musical acts from North, South and beyond have gathered on the sandy shores of Yellowknife‘s Long Lake to present the Folk on the Rocks music festival. Set in a natural amphitheater, the breathtaking site provides the backdrop for a culturally diverse program of southern and northern music performed on five different stages. Additionally, this festival hosts workshops, local art installations and murals, a cultural area, a Children’s Area, and beer garden, among countless other amenities that draw 3,000 visitors to Long Lake every summer. Sing and dance to live music, savor international cuisines, take in the beautiful scenery, and enjoy the most anticipated 3 days of the year with friends and family at the one and only Folk on the Rocks. At the foot of Whitehorse Mountain in the North Cascade Mountains of Washington, you’ll find yourself surrounded by snowy mountains, dense forests, a roaring river and a handful of parks. While the lonesome hiker may find solitude in such a spectacular setting, others might quickly lose interest in hiking along trails and kayaking on the river. But everything changes when 4,000 festival-goers come rushing to the scene each July for a week or weekend of camping before the Darrington Bluegrass Festival officially kicks off. As the oldest running bluegrass festival in the Northwest, this music festival has welcomed thousands of guests over the past 42 years and continues to be a real treat. This year Darrington will be featuring Dave Adkins, Band of Ruhks, Volume Five, and Sister Sadie as its 4 headliner bands, plus 6 regional bands. It can’t get much better than live music, food, booze, vendor booths, and camping for the die-hard bluegrass fan! Still want the high-energy, glitter-bombed, techno lights festival feel but looking for something much smaller than the Coachella mega-festival? Why not wet your toes at the Float Fest, which features many of the same pop, rap, and electronic artists, but limits the attendee size to 5,000. This festival’s vibe is perfect for the young college-aged and 20-somethings, as it combines the Texas tradition of floating the river with live music for the ultimate summer party. Among the festival’s performers in the 2018 lineup are Tame Impala, Bassnectar, Snoop Dogg, Modest Mouse, Run The Jewels, Glass Animals, and Lil Wayne. Break out a sweat jamming to your favorite artists from sunup to sundown and cool off between sets by grabbing your swimsuit and a colorful tube and jumping into the cool, refreshing river! Neon lasers, futuristic optical illusion installations, and organic geometric canopies. An extraordinary visual masterpiece, the Eclipse Festival will celebrate its 15th anniversary this summer in the Gatineau Valley under a full moon and the theme of transformation. Grounded in current and eclectic electronic music, psychedelic trance, techno, downtempo, chill out, and dub, this festival is a “catalyst for transformation” that invites participants to share “moments of symbiosis with music.” It is held outdoors in a space designed to create an electrifying experience through high sound quality and vibrant deco and installations. Additionally, professionals and therapists will be on site to offer quality therapeutic programs in the wellness zone. Eclipse’s 3,000 festival-goers are welcome to camp out and enjoy activities including workshops and conferences presented on the scenic shores of the Gatineau River. The RockyGrass Festival in the historic town of Lyons is one of the world’s premiere bluegrass festivals that has consistently sold-out for the past decade. In July, 5,000 festival-goers gather under the red rock cliffs of the St. Vrain River and celebrate a weekend of music, which has previously included headliners Steve Martin, Ricky Skaggs, and Peter Rowan. Known for being a picker’s festival, RockyGrass also offers 300 musicians of every age an opportunity to learn bluegrass from many festival performers during the week leading up to the event. Talk about a personal experience! During the festival, music fills the air from dawn till dusk, and at night, the campgrounds come alive with jam sessions as pickers of all ages and levels share the language of bluegrass. Want more? At RockyGrass, guests can enjoy tubing on the river or relaxing on the beach and attending intimate jam circles put on by musicians in the woods. Lyons is known for its antique stores and restaurants, but if you’re looking for some action, head to nearby Hall Ranch for an afternoon of mountain biking, the Meadow Park whitewater course for your favorite water sports, or the breathtaking Rock Mountain National Park or neighboring National Forest lands for day-long hiking excursions. Talk about the place to be! The King of Rock n’ Roll’s legacy lives on at the one and only Collingwood Elvis Festival! For 24 years, this sensational music festival has welcomed thousands upon thousands of festival-goers to celebrate the life and times of Elvis Presley. To relive the days of the King, Collingwood puts on 3 packed days of Vegas-style shows that recognize his influence on music and the popular culture of his time. Due to its widespread popularity, this festival welcomes a larger crowd of 10,000 guests, but it still manages to provide a very individualized, intimate experience with its Elvis tribute performances, outdoor concerts, Memory Lane Street Dance, outdoor gospel worship service, and Canadian Star Challenge Elvis showcase where the audience judges and votes on the best act. Rock on to the best of rock n’ roll for one absolutely rockin’ weekend! Taking on Avondale for the first time, the original Birmingham Secret Stages festival is truly a musical discovery experience. Instead of bringing in Billboard’s top 20 artists, Secret Stages aims to showcase-up-and-coming, under-the-radar artists who deserve a shot on a bigger stage. What makes this festival even more intimate is the proximity of its venues: all venues are close together and each offers its own type of music and vibe. For example, one of the new venues this year will be the Avondale Brewery, where guests can enjoy a drink while catching up with friends and exploring different music genres. This festival offers its 3,000 guests admission at a bargain price, so if you’re one to go for something new and different, you won’t want to miss this! The most elegant of them all, the Tuckamore Festival is a 2 week masterpiece showcasing extraordinary chamber music performances for 2,000 music students, teachers, and aficionados worldwide. Since 2001, it has featured incredible series of world-famous musicians such as Louis Lortie, Janina Fialkowska, Andre Laplante, and St. Lawrence, while also offering mentoring for young emerging musicians with the festival’s renowned faculty and guest artists. Here, performance is not the only valued aspect of music; rather, the festival also encourages the creation of new works by giving composers an opportunity to have their creations commissioned and performed. Appropriately enough, this unparalleled festival is located in one of the most majestic venue. Newfoundland and Labrador is the easternmost province of Canada, composed of grassy cliffs, plunging waterfalls, glacial fjords, and blue Atlantic waters. It’s no wonder why so many people leave these 2 weeks feeling beautifully moved and enlightened. Although we claim big doesn’t always mean better, the Wolfe Island Music Festival proves it. What started as an exclusive dock party has now expanded to a 1,000 person grassroots music festival on the largest of the famous Canadian Thousand Islands. As a CBC radio and CMW’s Live Music Awards winner, this festival has demonstrated that quality can trump quantity. Sure, it’s more low-key and mellow, but it is the perfect place to catch up with friends and family and bask in the warm summer weather. This August, visit Wolfe Island by taking a 20 minute free ferry ride from downtown Kingston to enjoy some of Canada’s best artists in a relaxed, welcoming environment surrounded by natural beauty. This year’s lineup includes artists like Charlotte Day Wilson, Plants and Animals, Yukon Blonde, and Weaves. Nicknamed the “summit on the song,” the Rocky Mountain Folks Festival presents some of the finest artists and songwriters from around the world in celebration of song and stories. Together, the festival’s 5,000 attendees join for a time to slow down, unwind, and simply appreciate the last moments of summer. Unlike its hyper counterpart, RockyGrass, which takes place earlier in the summer, the Folks fest invites guests to settle in on their picnic blankets and lawn chairs. The festival commences with the prestigious Folks Songwriter showcase in which competitors compete for a spot in the next year’s lineup, followed by continuous live concerts, songwriting workshops, and food. This year Regina Spektor, Indigo Girls, Jeff Tweedy, and Los Lobos, among others will be making highly anticipated appearances. Fish taco in one hand and ice cream in the other as you lounge on a grassy field listening to soothing chords and harmonious lyrics… Be honest. How could a more perfect summer ending exist?